Posted on 24th November 2017 at 1:30 pm. The debate on whether icing an injury is help or hindrance to the healing process continues. 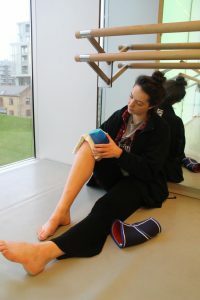 At the International Association for Dance Medicine and Science (IADMS) Annual Meeting in Houston, Texas in October 2017, a “duel”, entitled “Cryotherapy: Help or harm” was organised to try to persuade or dissuade therapists and dancers regarding the use of icing as a technique to manage injury. Two physical therapists, Valerie Williams (PhD) and Rosie Canizares (DPT) were charged with putting forward evidence both for and against respectively. Arguments on both sides drew on research studies to support the different viewpoints. Ice application decreases swelling over this 6-week period. An ice pack, crushed ice or an ice massage has benefits but…. 10 to 20 minutes is enough to reduce pain and swelling AND monitor the outcome. There are many cryotherapy interventions but with so many unknowns, can it really be safe? If people are icing on their own, do they really understand what they are doing? The question persists – can we continue to use ice safely or is cryotherapy counterproductive to the body’s natural processes? Many studies supporting a detrimental effect on the body tissues are basing their findings on studies that involve cooling periods of 20 minutes or more. Systematic reviews of these studies on the effects of topical cooling (cold application directly to the injury) are directing that, until definitive evidence is available, short cooling applications with a progressive re-warming period are advised (Bleakly et al, 2012). In sports, fitness and therapy articles and blogs, much has been made of the fact that the originator of the RICE (Rest, Ice, Compression, Elevation) procedure, Dr Gabriel Mirkin, has now recognised that both ice and complete rest may delay, instead of assisting, healing (Mirkin, 2016). There is no reason to apply ice more than six hours after you have injured yourself (Mirkin, 2016). Progressive re-warming of the body part is advised but…. Remember, don’t return to dancing immediately following application of ice or use ice to numb pain so that you can continue working! 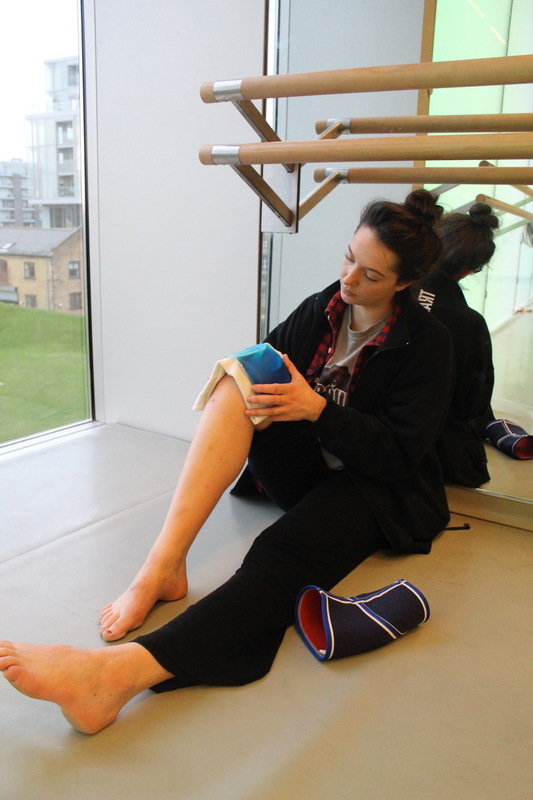 If ice is freely supplied in your school or studio for injury management purposes, ensure that everyone who has access to it understands and can put into practice these recommendations. Bleakly, C.M, Costello, J.T & Glasgow, P.D. (2012). Should athletes return to sport after applying ice? A systematic review of the effect of local cooling on functional performance. Sports Med, Jan 1:42 (1), 69-87. Williams, V. & Canizares, R. IADMS “DUELS”: Cryotherapy: help or harm? IADMS Annual Meeting, Houston, TX, USA, October 2017.